Oh my gosh! Oh my gosh! Oh my gosh!!! 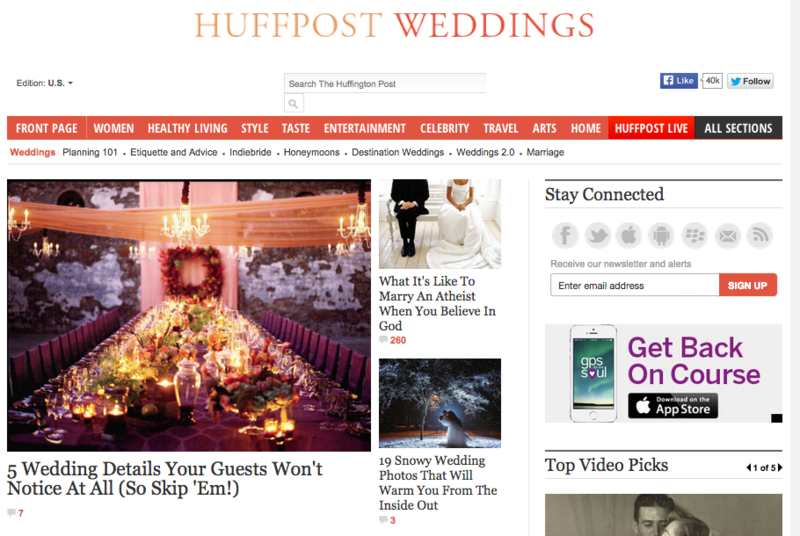 I just found out that the Brides.com article titled Wedding Details Your Guests Won’t Notice. Has been picked up by Huffington Post!! The elation I feel right now is unreal. As someone who strives to make every dollar count, I was happy to contribute my thoughts on those items where you can save on your wedding day. Seriously people, don’t splurge on your linens! Thank you to Elizabeth over at Brides.com for the opportunity to contribute.